University of California Press, 9780520253834, 331pp. 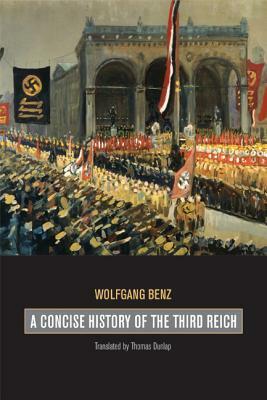 This well-illustrated, highly accessible book at last gives general readers and students a compact, yet comprehensive and authoritative history of the twelve years of the Third Reich—from political takeover of January 30, 1933 to the German capitulation of May 1945. Originally published to rave reviews in Germany, A Concise History of the Third Reich describes the establishment of the totalitarian dictatorship, the domestic and foreign politics of the regime, everyday life and terror in National Socialist Germany, the events leading to World War II and the war itself, various forms of resistance against Hitler, and the Holocaust. The book’s extensive illustrations are thoroughly treated as documents that illuminate the visual power of Nazi ideology. Wolfgang Benz is Professor of History and Director of the Center for Research on Antisemitism at the Technische Universität Berlin. Among his previous books is The Holocaust (1997).